Bath Jewish History archives the rich history of the Jewish community in Bath through outreach, preservation, and research. To live a full Jewish life requires engagement with other Jews and revolves around two institutions: the home and the community. Each has intrinsic, unique meaning, and between the spaces, education, ritual, and everyday life takes place. Fellowship and participation in community have inherent spiritual value in Judaism. The diversity of family life today demands that the community sometimes fills in the gaps of Jewish home life. Community is therefore the partner with the home in creating and perpetuating a vibrant Jewish life - one that we in Bath continue to actively cultivate for generations to come! Jewish Bath's website is the affiliate of Beth Israel Congregation on Washington Street - a short walk from downtown's waterfront. Bath is located on the saltwater shores of the Kennebec River just a short ride from Popham Beach! Visit the Maine Maritime Museum in the morning, peruse our boutiques downtown, and stop in for dinner at one of our many restaurants! 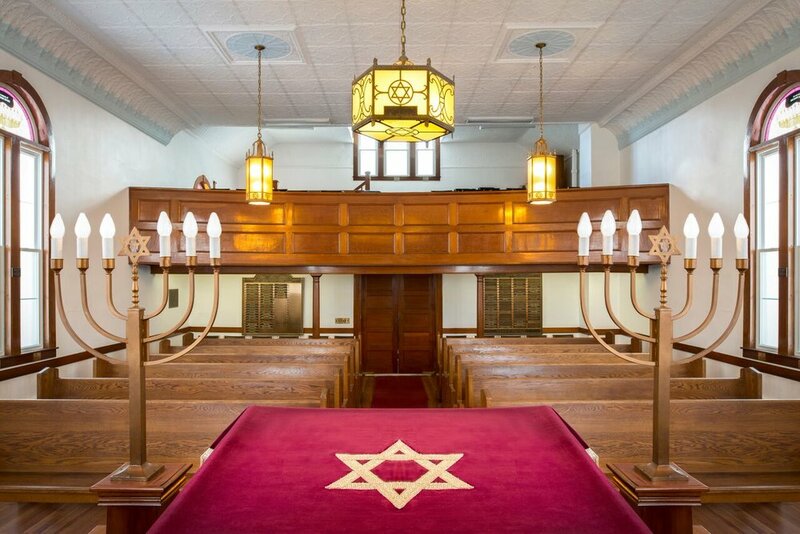 Beth Israel Congregation is preparing to celebrate its centennial; please consider contributing to our preservation efforts!